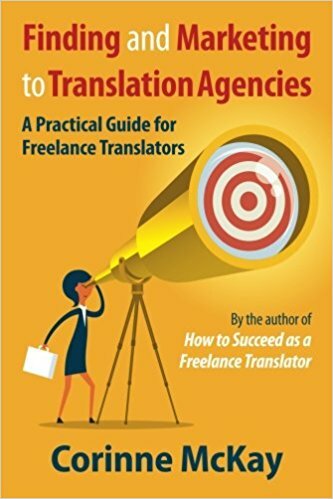 Note: we appreciate all of your comments, and we’d particularly enjoy hearing from anyone who has found a translation client through a “non-traditional” online presence such as Instagram, Pinterest, etc. (listen to the episode for Corinne’s story of finding a client on Yelp). If you enjoy Speaking of Translation, you can subscribe in iTunes or Stitcher, or listen to the audio file below. Right-click the link below to download the audio file. Thank you very much Corinne and Eve for such an enlightening podcast. I learned tons of useful info to plan, refurbish and update my online presence. You are always hands on and informative, Corinne. No doubt that is one of the many things behind the success of your blog. As an interpreter (yes, I really am good at both translating and interpreting) I can read voices a lot and both of yours sounded sincere and expertly informed. Thanks very much, Martha! We appreciate your kind comments!